Hello and welcome to Bright Kids Nursery Crabbs Cross. 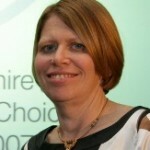 I am Anita Shepherd the Nursery Manager here at the Crabbs Cross Nursery in Redditch. I have worked in childcare for over 26yrs. Over time I gained a level 3 diploma in Nursery Nursing also a level 5 in Diploma in Management. I am also fully dedicated to my DSL Role. I have worked for BrightKids for over 17 years as well as raising my own 2 children. It’s always been a passion to work with children and their families and find my job very rewarding. Throughout the years I have built up many close relationships with them and have supported them through many transitions through nursery, school and family support. I see many children leave our care to grow up to be successful, confident adults themselves, which is very rewarding to see them achieve. I feel I have a lot of experience and knowledge to share with our families and work alongside a committed, dedicated team. This team offer a high standard of care for all the children within our exciting, stimulating and curious environment. For more information about Crabbs Cross Nursery, click here or call us direct on 01527 546028.